Dr. Champe-Seagle’s practice specializes in Internal Medicine for adults and children starting at age 11. Her specialty concentrates in the diagnosis and treatment of diabetes, hypertension, high cholesterol, thyroid problems, heart and lung disease, as well as a variety of stomach disorders. Preventive medicine is stressed by performing pap/pelvic exams and screening for breast, colon and prostate cancer. Blood testing, Colon GA screenings and Treadmills. 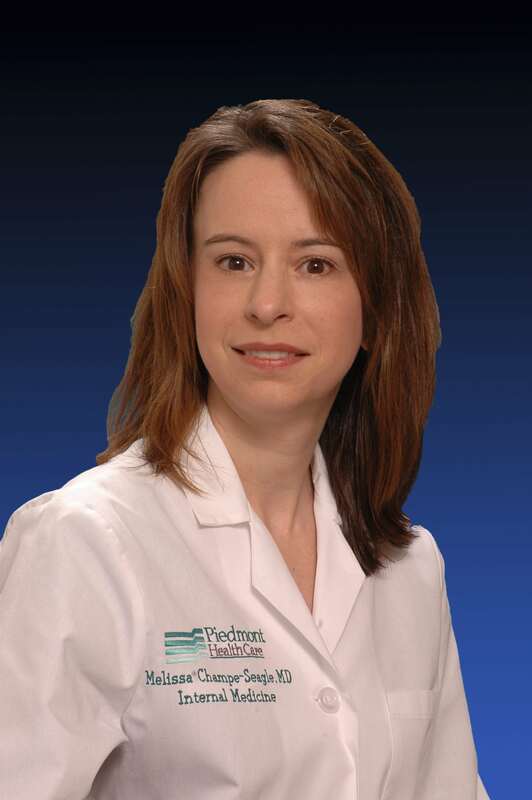 PHC – Melissa Champe-Seagle, M.D.